Actor and rodeo star Hoot Gibson purchased the Baker Ranch Rodeo in Saugus in 1930 and sold it in 1934. 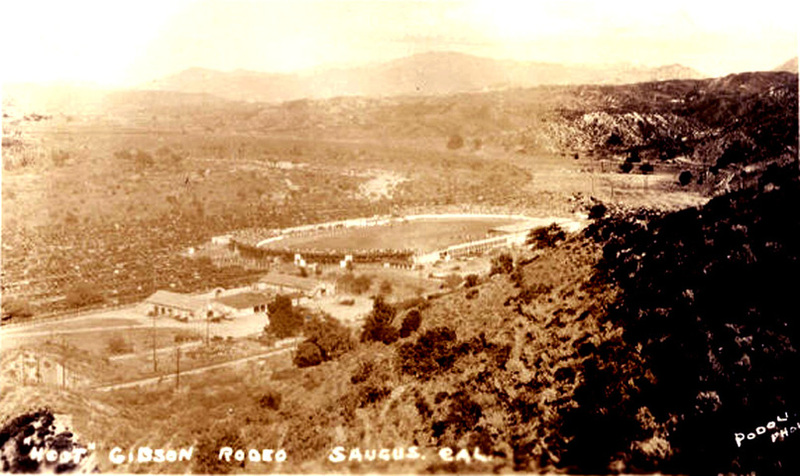 Later owned by Bill Bonelli, it became the Saugus Speedway. Real photo postcard, early 1930s.